Every year I try my best to keep my students' parents "in-the-know" about everything going on with their child. Parents know what they are learning, where they are struggling, and how they are doing in class. However, the one area I never seem to communicate well in is WRITING!! It always seems as though ALL writing instruction and practice happens in the classroom, and because it takes so much time to finish an entire writing piece, parents rarely see their child's writing samples. Over the years I have come up with a few ways to get parents more involved in their student's writing. Here are a few simple tips that will help solve this problem. Instead of having my students complete every part of the writing process in class, I started having my students work on their writing at home. 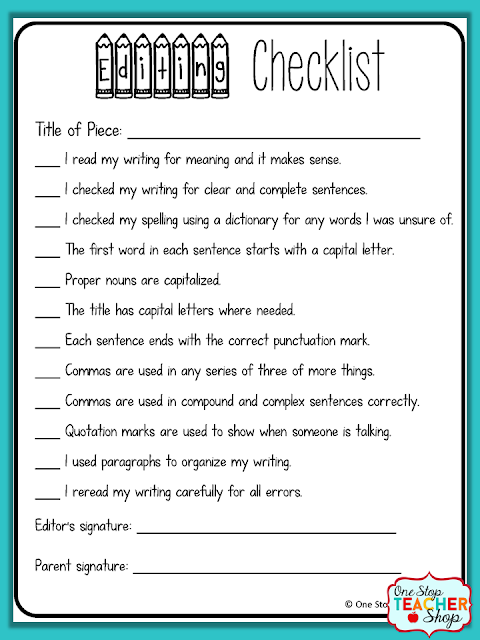 Once my students are at the point where they are ready to edit their paper - meaning I have already gone through all of my lessons on writing and revising their first draft - I give them an editing checklist to take home and use while editing their paper. 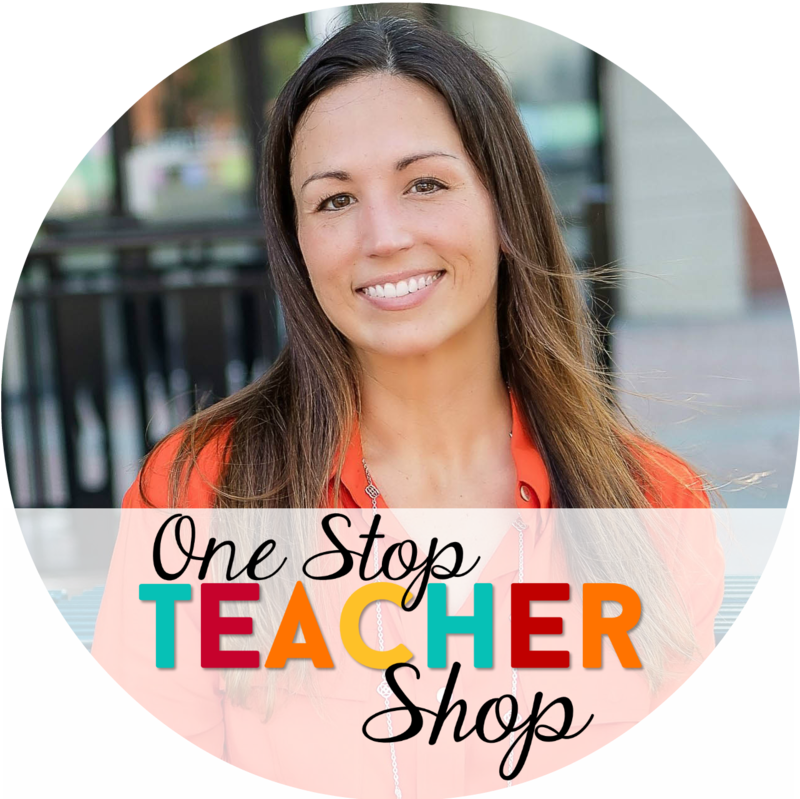 By doing this, I am giving their parents the opportunity to see how their child's writing is progressing on a more regular basis. I start each school year with empty writing portfolios for each of my students. I like to use hanging file folders, place them in a crate, and add student names to each folder. Each time we finish a piece of writing, I have a student sort the works into the student portfolios. 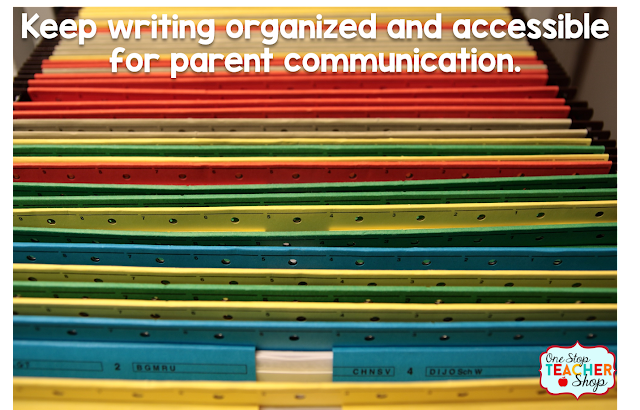 This gives me easy access to student writing anytime I meet with a parent. Adding a little bit of writing into your homework routine can go a long way! Once I started incorporating paragraph writing into my homework, I was in love! Students were given the opportunity to practice and perfect the writing skills we were working on in class, while also giving their parents the opportunity to see them actually write. Each Monday I would send home a Paragraph of the Week writing prompt. My students had until Friday to produce one well-written paragraph (draft, revise, edit, publish). That means EVERY week parents are helping their child through the writing process, and getting to see their progress as the year goes on. In addition to the tips I've given, I also participate and host writing nights were parents can stop by and see their child's work on display. While these nights aren't consistent throughout the year, they are great for motivating students and showing off their writing. 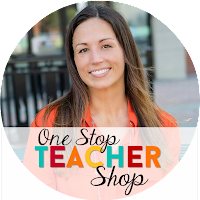 I hope some of my ideas will help you keep your students' parents more informed about their child's writing. Here is one of my FAVORITE Pinterest boards for even more writing ideas!